Empower gifted learners to take charge of their education. These simple yet comprehensive strategies are brought to life in triumphant true student stories. 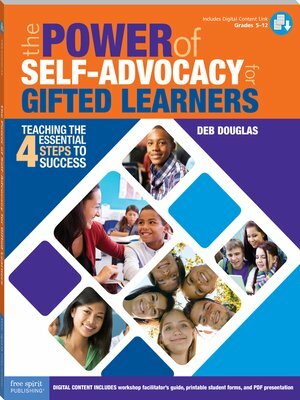 Also included are complete instructions for conducting a day-long self-advocacy workshop with gifted students. Digital content includes a workshop facilita­tor's guide, a PDF presentation for use in workshops, pre- and post-workshop student surveys, and customizable forms.